Almost all seniors with Parkinson’s develop involuntary tremors as the disease progresses, which makes everyday activities such as eating more challenging. A company called Lift Labs has developed a smart spoon that almost instantaneously detects tremors to stabilize the tip of the utensil. For those who have Parkinson’s, this technology can enhance their quality of life and help them regain some of their independence. Maintaining a high quality of life can be challenging for some seniors, but professional caregivers can help them obtain this goal. Families can trust in Oshkosh, Wisconsin, home care experts to help their elderly loved ones focus on lifestyle choices that increase the chances of living a longer and healthier life. Dopamine is a vital chemical the brain produces to enhance emotions and control many motor functions. Parkinson’s disease destroys nerve cells that control the production of dopamine. A lack of dopamine in the body can create a variety of overwhelming symptoms, including general weakness, difficulty swallowing, tremors, muscle aches, and muscle rigidity. While some medications can delay these symptoms, there is no permanent cure for Parkinson’s. Doctors and scientists are now looking for ways to suppress the symptoms of this disease. The Liftware smart spoon utilizes the same technology as expensive movie cameras. A small microprocessor recognizes sudden movements and uses an algorithm to stabilize the tip of the spoon. Currently, the spoon’s head can move up to an inch, which makes it a great product for seniors with Parkinson’s who are still able to chew and swallow food. The Liftware spoon can also differentiate between intended and unintended movements. It won’t make any sudden jerking movements if the user drops his or her hand slightly to speak or tries to scoop up a little more food. Seniors with Parkinson’s who require assistance with eating and other daily activities can benefit from hiring dedicated caregivers. Some seniors need occasional assistance at home, and oftentimes the family members who take care of them need time away to run errands, take a nap, go to work, or take a vacation. Oshkosh, WI, respite care experts from Home Care Assistance are available on an as-needed basis, giving your family peace of mind that your loved one will remain safe and comfortable while you relax or focus on other important responsibilities. Anupam Pathak is the founder and CEO of Lift Labs, and he started this company to help as many seniors with Parkinson’s as possible. “Being able to see somebody eat on their own for the first time, or even just eat better, has been a hugely impactful thing,” Pathak stated during a recent interview with Voice of America. Each spoon currently costs around $195, but a single device can turn a senior’s life around. Lift Labs also accepts donations to help those who can’t afford their own Liftware. Once the donations can pay for a single device, Lift Labs sends a spoon off to the International Essential Tremor Foundation. 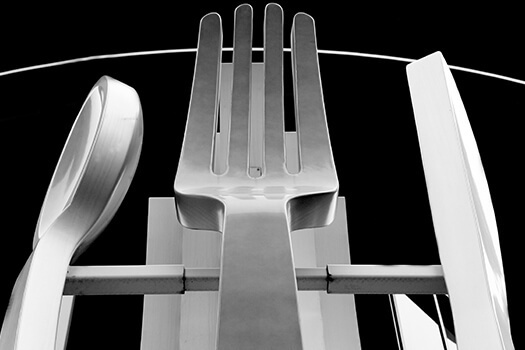 The Liftware spoon is only the tip of the iceberg, and the team at Lift Labs is working on a lineup of different heads that can be attached to the stabilizer unit, including options such as deeper soup spoons and blunt forks. Other companies are working on technology that will constantly monitor and track a senior’s tremors. If the tremors become too severe or the wearer is in danger, a doctor will be notified immediately. Each of these new devices could help seniors with Parkinson’s become a little bit more independent, which can go a long way toward enhancing their quality of life. Living with a serious health condition can make it challenging for seniors to age in place. However, they can maintain a higher quality of life with the help of professional live-in care. Oshkosh seniors can benefit from assistance with meal prep, bathing, transportation to the doctor’s office, medication reminders, and much more. Call Home Care Assistance at (920) 710-2273 and create a care plan tailored to suit your senior loved one’s needs.